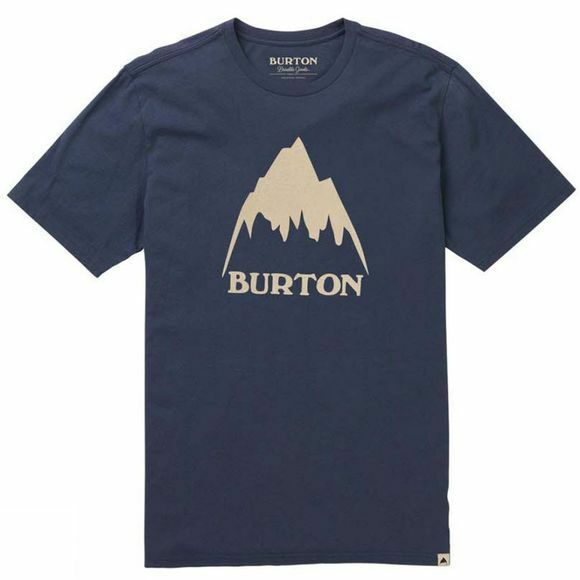 The men's Burton Classic Mountain High Short Sleeve T-Shirt is a comfortable number for Monday morning's math class or a live show on Saturday night. This T-shirt is made from lightweight Organic Peruvian Cotton and cut for a regular fit. Soft-touch Burton graphics splash across the front.